Our Black Widow DLC coating is tailored to have a combination of lubricity, abrasion, and corrosion resistance. Being a type of dry lubricant film, it performs well in bearing and gear applications where two mating surfaces have sliding contact. 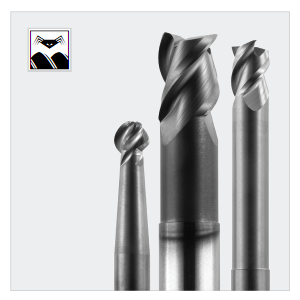 On cutting tools, DLC has worked very well with abrasive material such as wood and aluminum. Black in color and resistant to fingerprinting, this is also an ideal coating for cosmetic purposes. In general, hard carbon coatings have a low coefficient of friction and good chemical resistance. The hardness of an HCC can be tailored to match a specific application.